"Stunning one-of-a-kindâ€� custom home located inside the prestigious area of gate 11. This home has been dramatically remodeled and expanded and is graced with every amenity a connoisseur of fine craftsmanship would demand. As you enter through the formal entry hallway you will immediately notice the spacious and sophisticated open floor plan. 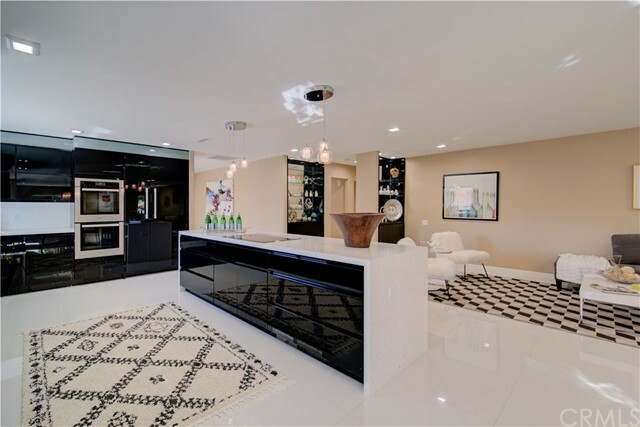 The â€œgorgeousâ€� gourmet kitchen proudly boasts euro design custom cabinets, white quartz countertops, high end german miele appliances, thermador induction cooktop and a large island with a dramatic waterfall counter. The master suite is exquisite with a luxurious master bath and a huge walk-in closet. There are two additional bedrooms, one with an ensuite bath for your guestâ€™s convenience, the other has a bathroom right outside its door. The living room has been substantially expanded allowing space for a separate tv/game room. The laundry room has been converted into a small office. Additional features of this amazing home include: custom glass doors, new dual pane windows, beautiful ceramic tile flooring throughout, recessed lighting, new central air/heating, all new electrical and plumbing and the lists goes on. The two-car plus garage has drop down stairs leading to the attic where you will find additional storage, high end metal storage cabinets along the walls and side-by-side large capacity washer/dryer that are included in the purchase. Every possible amenity has been carefully planned with no expense spared. Co-Listing Agent: Jennifer Heflin Co-Listing Office: Laguna Premier Realty Inc.
For more information or make an appointment to see property ID LG19031349.